We are assembling a new Metabolic Modeling Resource to disseminates models of components/pathways of mammalian central metabolism for potential combination into large-scale models. The emphasis of this collection is in energy metabolism in muscle, including models of glycolysis/glycogenolysis, beta-oxidation, the tricarboxylic acid cycle, mitochondrial transporters, and oxidative phosphorylation. 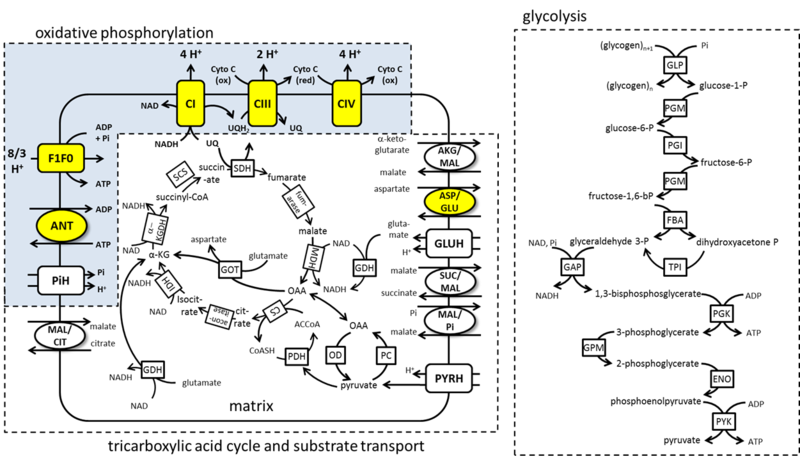 Many of the models and model components are built for use with the MATLAB-based Biochemical Simulation Environment (BISEN) for modular construction of metabolic systems models.